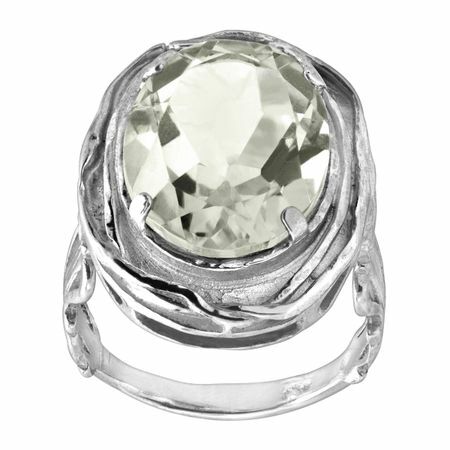 Feel like a queen in this green amethyst ring! Surrounded by ornately textured sterling silver, you're sure to shine all day long. Ring face measures 7/8 inches in width.